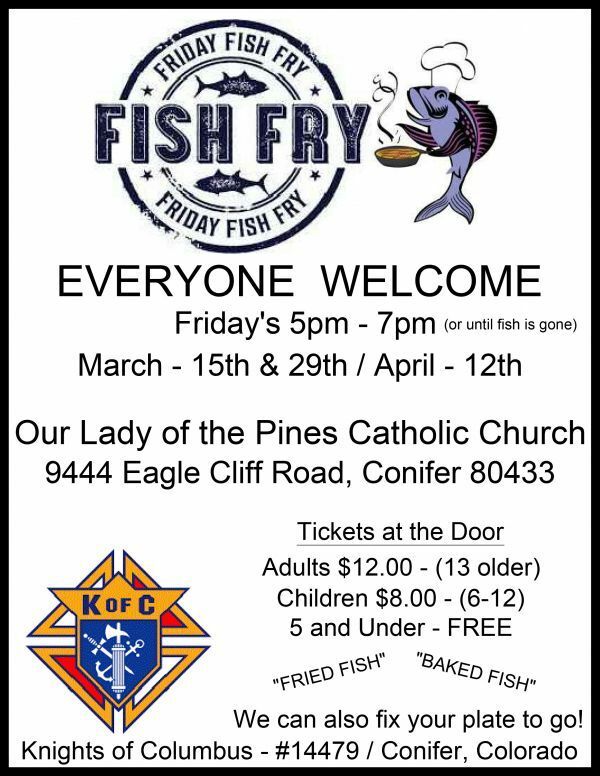 Friday Fish Dinners during Lent . Mark your calendars. Conifer/Aspen Park - Our Lady of the Pines Catholic Church. $12 adults, 6-12 yrs $8, < 5 yrs free. Fish dinners at both locations this Friday, the 29th. Final dinner this Friday, April 12th !